← Fermented Cod Liver Oil Real Food Review – It is Worth it? Using Whipped Coconut Oil as a Moisturizing Body Lotion Review – Does it Work? Coconut oil is an edible oil extracted from the meat of mature coconuts. It is used as a primary cooking oil in many parts of the world. It also can be used in a wide variety of cosmetic and personal care products. I have been using coconut oil for quite a while now in cooking and baking. I’ve also tried shaving with it. Today I share my experiences with using whipped coconut oil as a body moisturizer. Does whipped coconut oil make a good moisturizing body lotion? It’s hard to see the whipped coconut oil in this picture – check out this link for a much better beauty shot! A couple months ago, I shared how shaving with coconut oil just did not work for me. But while I was doing the shaving experiment I did notice that my generally dry and pregnant-lady-itchy-skin legs were feeling much softer and smoother. I decided that I just must try out coconut oil as a body moisturizer soon! The only problem is that right now, in winter, coconut oil tends to be rather hard at room temperature. Dig your fingers in and it makes an oily mess under your fingernails. I didn’t like the idea of having to dig a chunk of hardened oil out of a jar, and rub that chunk across my skin while it also melted in my hand. I really like the smooth-over-and-rub-in easiness of traditional body lotions and creams. Well, Pinterest to the rescue, once again! I came across this nifty link to The Coconut Mama website who recommends whipping the coconut oil into a lotion-like consistency before using it. Genius! I promptly whipped some up with my stand mixer (you could use a standard hand held electric mixer as well). The coconut oil (lotion) whipped up very nicely. I was able to smooth it over my skin in a very thin layer without making a mess. It absorbed quickly and didn’t make me feel greasy after application. The whipped coconut oil worked great!! Within two days the coconut oil lotion had lost it’s creamy whipped texture and was back to being a coconut oil brick. Annoyed, I continued on with daily applications but it turned out a lot like I had imagined: digging a too big chunk out of the container, rubbing the chunk around on my skin to melt it, having it melt in my hand, and generally getting too much oil everywhere. I got coconut oily spots on the bed sheets, and on my clothing. I found that without the whipped consistency, I just spread way too much around. I also found that the coconut oil didn’t really do too much for my rough, dry patches – i.e. elbows, knees and ankles. I rubbed in as much as I could, but it never really seemed to make a difference the way a nice body butter does. Finally, when I thought about it, my legs were still rather itchy. The coconut oil wasn’t as moisturizing as I had hoped. This was the most disappointing, as I had better results when applying it in the shower while shaving. Perhaps there is a special wet skin, steamy shower, mess gets washed away combination that made it work better before. However, I don’t want to use it IN the shower, because it makes the tub dangerously slippery. Overall, I found the whipped coconut oil didn’t work so well for me. Mainly because it didn’t stay whipped. Once it lost it’s fluffy, creamy texture, application became too much of a hassle. Also, the big moisturizing benefits just weren’t there for me. Sigh… I had such high hopes. Have you ever tried whipping coconut oil for a body lotion? Do you have any tips or tricks to maintain the whipped texture? Or do you have any other tricks to get around the mess? This entry was posted in Magical Coconut OIl, Personal Care and tagged better for the earth, better for you, coconut oil, easy, homemade, personal care, saves money. Bookmark the permalink. 35 Responses to Using Whipped Coconut Oil as a Moisturizing Body Lotion Review – Does it Work? I keep a small container of coconut oil in my bathroom. When I get in the shower, I put it on the floor of the shower/tub, near the drain. The hot water melts the oil, which I then apply to my face, neck, elbows & heels after I get out of the shower & dry off. I like this idea, I bought some coconut oil for a few recipes and I just don’t like it. Now I need to find other ways to use it. Search around the web, and I’m sure you’ll find some great ideas! Hum I agree on the whipped coconut oil solo. I did make my daughter a scrub with coconut oil, Shea and almond oil. Lots of almond oil, lemon her fav. Lemon EO. She used it the other day to shave and was so delighted. Her skin was yummy no razor itchy ( her words) and no need for lotion. To me that was a win, win, plus it was 90 % organic. My lovely granddaughter who tends to want to lick my soaps..lol they are safe enjoyed it too! She said the girls loved the scrub. No website just a facebook page yet I have a farmers market business and you guys help me grow so much. Thank you! Sounds like you’ve mixed up some great products, Cindee! I wonder if your lotion was getting hit by heat from something – an air vent heating the house, heat/steam from the shower, appliance blower or just your house being heated to above 76 degrees – even for a little while. (My house is set to 69 degrees, but if I run the oven in the kitchen, the house will be warmer on the side that is near the kitchen but the heater will still kick on. That heats some rooms hotter than others.) If that were happening, it would account for it working for the people on one site but not for you. It would also account for the slow loss from being whipped. Perhaps try another (small) batch and keep it in the fridge and it may work. Just a thought. I thought the same thing, but I can’t figure it out. I kept in in my bedroom, which is one of the coolest places in the house. With it being winter, we certainly rarely see temps over 68 indoors. Keeping it in the fridge would probably help it hold the texture, but I don’t really want to spread cold, cold lotion over my body…. Yeah, I don’t blame you for that! Brrrrr. what???? coconut oil is the best! especially whipped! stop being pessimists! Thanks Hannah, I’ll check it out! I’ve also wanted to use coconut oil as a moisturizer, knowing it was safe enough to eat so it would be safe for my skin to absorb. But, like you, I’ve found it hard to apply. I’ve kept it in a small container on my sink to rub on after bathing, but it doesn’t quite soak in and I end up wiping it off with a tissue so I don’t stain my clothing/bedding. And to be honest, I don’t think I have the determination to whip it every few days. I wonder if there is another natural ingredient to add to it that would give it a better consistency? Thanks for sharing your experiences/insights. Glad to know I’m not alone – thanks, Gail! Victoria when I made it I was concerned about it with the coconut and Shea butter. I knew it would be thick, the almond oil cut it a bit. However it is still pretty thick but my daughter is not a greasy lotion person so I think that is why she loved it. When I first started making lotion bars she was a good critic as far as that went. It did the job for her. What were your proportions of coconut oil, shea butter, and almond oil? Also do you have a lotion bar recipe to share? I’m interested in testing them out. What a great idea! I’m going to try this one for sure. Thanks for sharing! Have a great day! Thanks for stopping by Brooke! Maybe you could add some vitamin E to help with the healing effects. I will be trying to make homemade whipped coconut oil lotion but will be adding vitamin E because I have dry skin. I can report back and let you know. Try adding beef tallow. It’s much more moisturizing this way and only takes a small bit of tallow. And the texture is very smooth without whipping or melting. Hmmm, interesting. But where to get beef tallow? 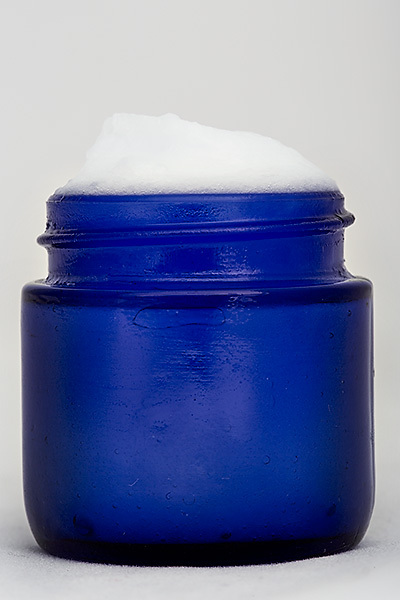 Coconut oil can be very drying when used in large amounts, rather than moisturizing. I have a friend who makes soap who learned this the hard way. The more coconut oil he put in his soap, the more drying it became. I used to use it on my daughters dry skin every time I changed her diaper until it started causing her skin to crack (it healed almost as soon as I stopped using it so I know it was the coconut oil). So, once a day application in small amounts will probably work better than multiple times a day in large amounts, if that’s what you were doing. But I have super dry skin, and I haven’t found it to be anywhere near as effective as jojoba oil, even when I only use a little bit. I believe when coconut oil is saponified it becomes a very cleansing soap, not a very moisturizing one..unlike olive oil (as an example) which is a very moisturizing soap, and mildly cleansing..but I can’t explain why it would be drying if u (over)used it without saponification…believe you though..very interesting..
Maybe it’s because the coconut oil I used on my daughter was refined. I have never tried unrefined on her after that experience. I use it in combination with cocoa butter, almond oil, orange oil. Hardend harder, melts harder, but it does melt if its hot. I heard that coconut oil alone can dry your skin and make it itchy and It does hep eczema. I use it several nights a week on my face! I have normal to dry skin, and it works great for me. It’s not too oily and absorbs quickly. (I wouldn’t recommend it for oily skin.) I don’t use the “whipped” version at all. Rather, I bought a bottle of organic coconut oil and put some of it in an attractive jar to keep in my bathroom. I use the rest in the kitchen in cooking. At night, I use Retin-A and so I wanted an all natural moisturizing product to help with the dryness from the retin-A. I’m really happy with it so far. I also use it on my hands. It makes them very smooth, but it doesn’t help with the extra rough and scaly areas, so I use another cream for those spots. It’s great on my legs after shaving, as it absorbs quickly and has a mild natural sunscreen effect, so that’s a plus. In addition, I mix a teaspoon in our dog’s food, and the effect on her coat has been amazing! She now has a beautiful, shiny coat!